Tyler Carson has been singing and playing violin since he was 5 years old. While attempting to build momentum as a country singer, Tyler was faced with the sudden loss of his voice due to spasmodic dysphonia, an under-researched, rare vocal disease with no cure known to modern medicine. He decided to broaden his healing approach, studying non-traditional techniques of mindfulness and meditation to rehabilitate his voice. Working with several different vocal coaches could not bring his voice back to its original strength, ending any chance of being a vocal musician, and causing him to suffer a severe mental breakdown. Tyler then decided to turn back to the violin. 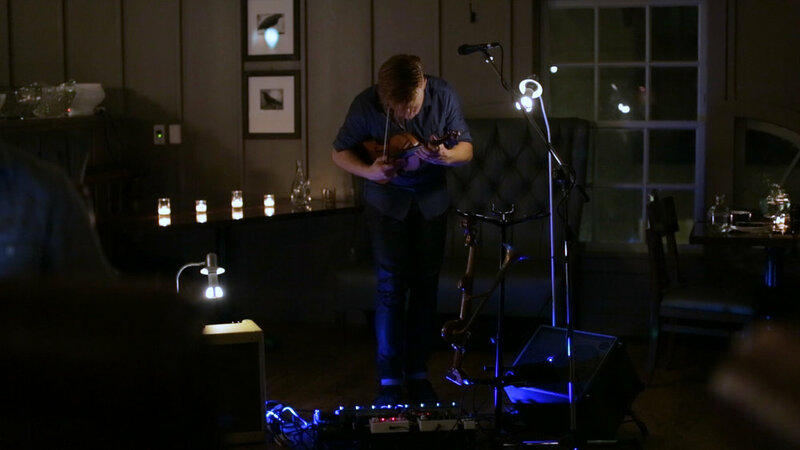 Opening himself up to new thoughts and ideas led Tyler to experiment with his violin as well, strumming and plucking the strings to create a new sound unlike anything he had played before. Using what he had learned through his meditation and musical discovery, Tyler has been able to begin healing his voice by re-teaching himself how to speak, completing a transformative artistic and personal journey.